A version of this interview first appeared in the online journal Voices on Central Asia in English and the Central Asian Analytic Network in Russian. It is republished here with permission. Hundreds of thousands of Uyghurs, as well as representatives of other Muslim nations living in China’s Xinjiang province, have faced religious restrictions and persecution by the authorities in recent years. Oppression has taken on a particularly large-scale character of late, with Uyghurs being forced to go through so-called “re-education camps.” The Chinese authorities justify their actions as security measures, while the international community claims that the rights of these religious and national minorities are being violated on a massive scale. The Living Otherwise project, founded by a group of young experts, is actively engaged in covering what is happening with Uyghurs in China. Dr. Darren Byler, who runs the platform, offers some insight into Islamophobia in China. The website I curate, LivingOtherwise.com, is a public-facing aspect of my doctoral research as an anthropologist at the University of Washington. By highlighting Uyghur, Kazakh, and Han cultural practices and objects and the way minority peoples refuse to give up on their native ways of life, the site attempts to show the way marginalized people in Northwest China work out meaning in their lives. Over the 15 years that I have spent traveling to and living in the Uyghur and Kazakh homelands in China, two themes have emerged concerning Turkic minority forms of knowledge. First, my collaborators and I have noted that it is important to show how Chinese state politics has attempted to control the efforts of these communities to be heard and recognized. The Chinese Culture Ministry often tries to appropriate native forms of knowledge and practice and turn them into a form of Chinese nationalism that valorizes the state’s efforts to dominate the lives of minorities. Official media and the state legal system have also consistently placed the blame for all conflicts in the region on Turkic minorities rather than on Han settlers or state policies. Second, because of this, my partners in the Uyghur and Kazakh homelands in China have identified the need to situate their cultural production in the context of native history and understandings of place. In order to show the moral bankruptcy of the state rhetoric of “de-extremification” and “ethnic unity,” which seeks to dominate or erase local cultural practices, it is necessary to ask Turkic minorities in China what values and practices they want to cultivate and why they want to bring their stories into the present. They say that doing so is a matter of survival. Your project has published some in-depth, touching personal stories on what is currently happening with Uyghurs in China. These materials have been republished by top world media outlets such as the Guardian. What’s going on with Uyghurs in China? Why now? 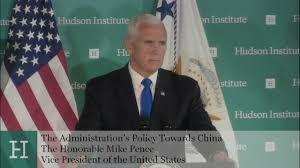 Since 2014, the Chinese state has engaged in what it describes as a “People’s War on Terror.” In the government’s discourse, only people who look different from Han people, and in most cases, practice forms of Islam, can be described as “terrorists.” This means that what the state is in fact engaging in is a war on public expressions of Islam and Turkic minority culture. There are at least two major reasons for this. First, since the early 2000s, the state has accelerated Han migration to the Uyghur and Kazakh homelands in China in order to develop natural resource extraction, consolidate control over the border regions, and develop new markets. As part of this process, they have introduced education initiatives and labor transfer programs to integrate Uyghurs and Kazakhs who have been displaced through this process. This led to violence and competition for jobs in Eastern China, in turn prompting large-scale protests, violence, and disappearances in Ürümchi in 2009. This atmosphere of violence, dispossession, and injustice led to increasing violence between Uyghur civilians and the police and Han civilians, both in the province and in places such as Beijing and Kunming. These incidents were generally spontaneous and small in scale, rather than anything that resembled an organized insurgency. Second, in 2010, as part of a larger development initiative, the state sponsored the rollout of 3G networks across the region. In 2012, the social media app WeChat arrived in the Uyghur countryside. Almost immediately, Uyghurs purchased cheap smartphones and began to use the app as a way of connecting with each other and with Uyghurs in the diaspora. Since the state had no way to regulate Uyghur speech on the app, much of the discussion online centered around religious practice. As a result, between 2012 and 2014 there was a widespread turn toward Hanafi forms of Sunni Islam. Political protests and small incidents of violence (and some larger incidents directed toward Han civilians in Kunming and Urumchi ) also began to exhibit signs of political Islam. The state conflated these incidents and the new expressions of Islamic faith as a sign of the rise of “extremism” across the population as a whole, rather than assessing the small number of people who engaged in violence as quite different from simply practicing forms of Islamic piety as practiced in most countries around the world. What counted as an “extremist” and “terrorist” began to encompass hundreds of thousands, if not millions, of the Uyghur population. These two factors, taken together, led state officials, including new Party Secretary Chen Quanguo, to determine that security was not enough to produce “lasting stability.” Instead, large segments of the minority population needed to be “re-educated.” As a result, an estimated 1 million Muslims have been sent into indefinite detention without due process or legal representation. Millions more are now required to attend regular day or night camps, where they receive political instruction. 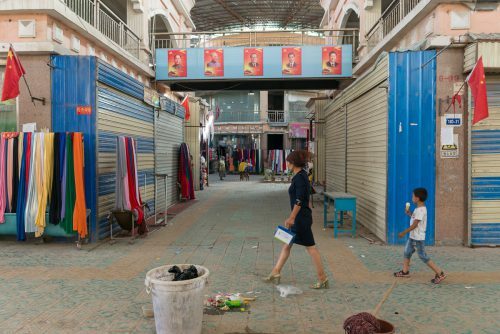 All Muslim groups in what is called the Xinjiang region face the threat of being sent to “re-education camps.” It appears that in many cases local officials are given a mandate to detain a certain percentage of the population in their jurisdiction. In northern parts of the region, where there are fewer Uyghurs and Kazakhs, Hui (Chinese-speaking Muslims) are sometimes sent to the camps because they have practiced so-called extremist forms of Islam or have unauthorized knowledge of international politics. Taking into account the lack of independent human rights groups, media, and academics in the region, as well as the government’s overall control of social media and telecommunications, how do people access information on these events in Xinjiang? In the Uyghur and Kazakh homelands, most people rely on informal communication or rumors to get a general sense of what is actually happening and what the state intends to do. Since the state purposefully gaslights, or obfuscates, what it is doing through the use of self-valorizing euphemisms such as “ethnic unity” and “re-education,” many people do not have a clear understanding of how Uyghur and Kazakh society is being subjected to human engineering as a whole. Instead, they are mostly aware of what is happening to their immediate friends and relatives. Throughout most segments of Uyghur and Kazakh society, there is a deep fear and paranoia concerning the state’s surveillance power and the trustworthiness of their acquaintances. Uyghurs and Kazakhs nearly universally disbelieve the rhetoric that is posited by state media. 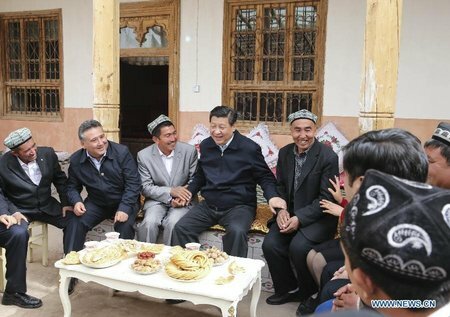 Uyghurs and Kazakhs in upper-class or government positions may feel as though they are immune from the “de-extremification” campaign, but all of them now understand that many of their fellow Uyghurs or Kazakhs are being punished. Why do you use the following terms: “so-called Xinjiang” and “Uyghur and Kazakh homelands in China”? Is it because there are also “Han homelands in Xinjiang” or are you signaling a deliberate rejection of the claim that these lands are legitimately under Chinese control? 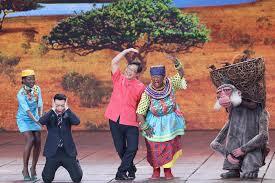 The name “Xinjiang” is a colonial term meaning “new frontier” or “new dominion” in Chinese. Because of this, most Uyghurs who are free to choose how they refer to their homelands prefer not to use this name. Nearly all of what is referred to as “Xinjiang” today is the native lands of Uyghurs, Kazakhs, Mongols, Kyrgyz, Tajiks, Uzbeks, Tatars, and other minority groups. In 1949, only around 4 percent of the population of “Xinjiang” was Han. Today, Han make up over 40 percent of the total population. Do only Uyghurs face these problems in China or are all Muslims—including Chinese Muslims (Hui)—affected? Please introduce us to the diversity of Muslim groups in China. There are a total of approximately 10.5 million Hui, 1.5 million Kazakhs, and 11 million Uyghurs in the country as a whole. The vast majority of all Kazakhs and Uyghurs in China live in what is called Xinjiang. Only around 1 million Hui—Chinese-speaking Muslims who are not of Turkic descent—live in Xinjiang. The majority of Hui, around 9.5 million, live outside of the region and are thus not yet affected to the same degree. There are signs that Hui in places outside of Xinjiang, such as Ningxia and Gansu, are beginning to be targeted with “de-extremification” campaigns, but it is too early to tell what effects these campaigns will have. What are relationships between Chinese-speaking Muslims and Uyghurs like? Traditionally, there was a great deal of suspicion between Uyghurs and Chinese-speaking Muslims or Hui (sometimes referred to as Dungan) because Hui armies were responsible for a great deal of violence and the colonial occupation of Uyghur lands in the first half of the twentieth century. Many Uyghurs saw Hui as collaborators with China against their Muslim sisters and brothers. In more recent years, as Islamophobia has become increasingly dominant in China, Uyghurs have comes to see Hui as their allies. Likewise, in the recent past, many Hui have seen Uyghurs in a negative light. They have accused Uyghurs of giving Islam a bad name in China. 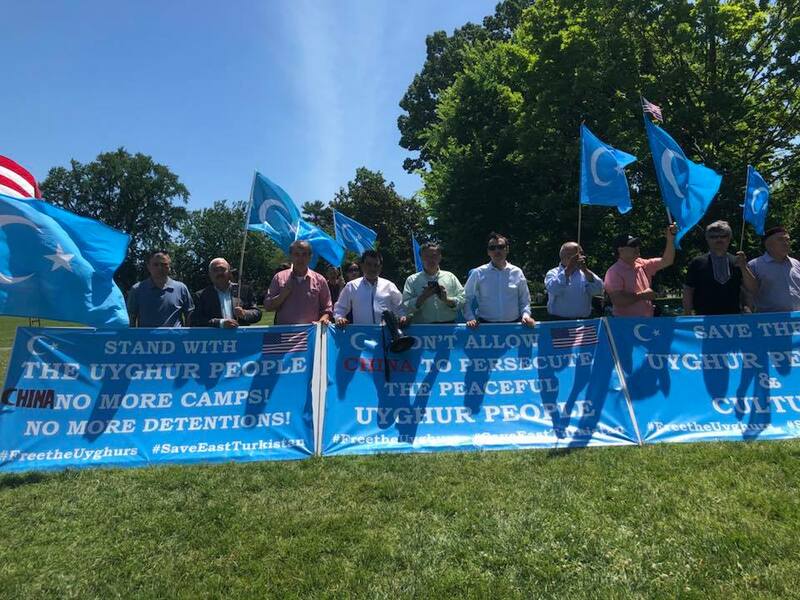 Some have accepted the state rhetoric that frames Uyghurs as potential “extremists” and “terrorists.” This may now be beginning to change as the state continues to promote Islamophobia across the country. There is a Uyghur-speaking Tajik minority in Xinjiang. Are they also currently facing problems? Yes, there are around 40,000 Tajiks near the town of Tashkorgan, on the border with Tajikistan, many of whom speak Uyghur in addition to Tajik. I do not know to what extent they are affected by the current anti-extremism campaign. Since they come from quite a remote part of the province and are less influenced by international Islamic piety movements, my sense is that they are less affected. Thousands of Uyghur mosques have been closed and had their minarets removed. 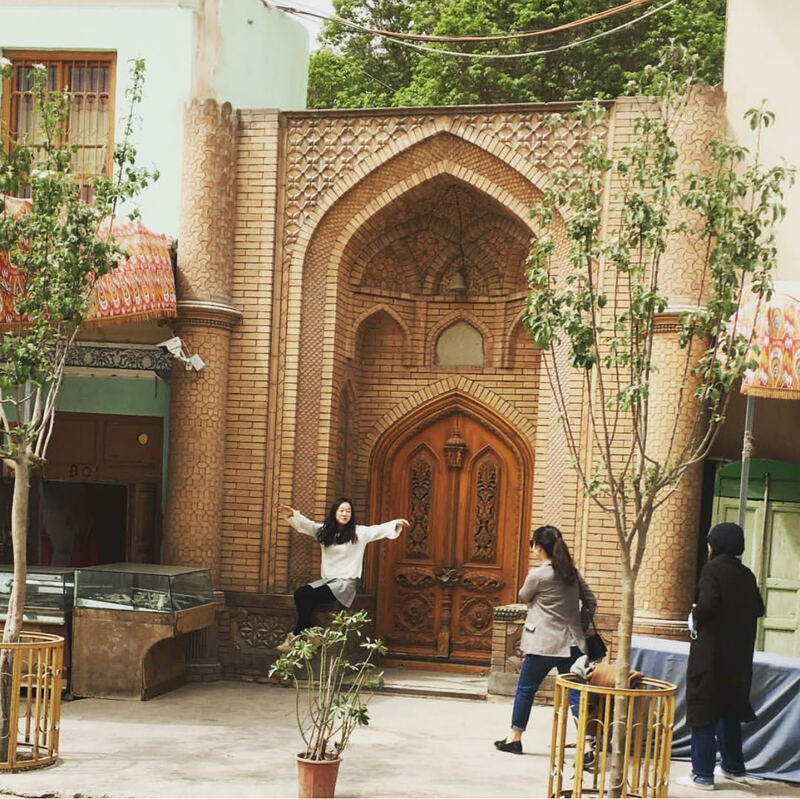 Here, in April 2018, a Han tourist uses a closed mosque in Kashgar as the backdrop for a photo. Can Muslims no longer observe their religious practices? Pray, fast, wear hijab, grow beards, go to mosques? Some have officially gone on the hajj this year, correct? Most Hui outside of Xinjiang are still permitted to practice normal forms of Islam, such as praying, fasting, attending mosques, and dressing in a pious manner. However, all Muslims in the Uyghur and Kazakh homelands in China, in Xinjiang, are in effect prohibited from carrying out these practices in public or in private. Although the majority of mosques in the region have been destroyed, the large “Friday” mosques remain open. However, people are forced to scan their IDs, and in some cases their faces, in order to enter mosques. Since one of the reasons people are sent to “re-education camps” is because of regular mosque attendance, most Turkic minorities in China have stopped going to mosques. Other normal forms of piety, such as praying or fasting, are also considered a sign of “extremism,” so people have likewise ceased these practices. Even saying the names “Allah” or “Khuda” or greeting others by saying “Assalam Alykum” is banned in everyday speech. When I was in the Uyghur homeland in April 2018, I did observe one elderly man in the back corner of a Uyghur restaurant performing a blessing after he ate. Otherwise, this formerly commonplace practice had been completely abandoned. Public practice of Islam in general is now quite uncommon. When it comes to going on the Hajj, the same is true. Although the state does provide for elderly Turkic Muslims who come from outstanding family backgrounds to go on the Hajj, the number that are permitted to go has always been quite small. The majority of those that go on the Hajj from China are Hui from other parts of the country. 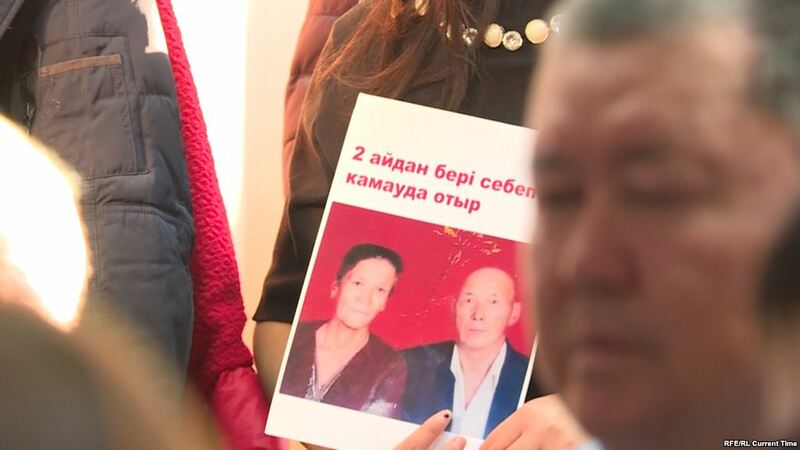 Is there any reaction in Kazakhstan to the fate of their fellows in China? Among “oralmans,” or Kazakhstani citizens who came to Kazakhstan from China, there is a great deal of concern regarding what is happening in China. Other Kazakhstani citizens are also concerned, though these concerns are also tempered by their dependence on China for trade and industry. Something similar, but to a lesser and different extent (hijab and beard ban, mosque closure), is also happening in Central Asian republics. Are these policies on the part of Central Asian governments in any way connected to what is going on in China? In other words, is Beijing telling Central Asian governments to toughen their policies on religion? My sense is that many nations around the world encourage forms of control, and at times Islamophobia, when it comes to everyday Islamic practice. The rise of such controls in Central Asian republics is likely also influenced by the American and Russian “Wars on Terror.” Of course, since China is aggressively planning and developing a Eurasian Land Bridge as part of its New Silk Road development initiative, there is reason to believe that Central Asian republics may wish to create a “safe” space for Chinese capitalist development. In general, Islamic piety is often seen as a threat to national sovereignty, since it stresses loyalty to God rather than to the nation. Because of the rise of political Islam in a number of locations around the world, it is also seen as a potentially viable political threat. In the case of China, there has never been any existential threat to the nation from pious Muslims. My sense is that the state is mostly interested in the land and resources of the Uyghur and Kazakh homelands. The state is also interested in leading the world in cyber-security and artificial intelligence development. Uyghurs and Kazakhs offer them an opportunity to experiment with and develop this technology, before they export it elsewhere. It may be that the population management tools developed in China will be used in Central Asian republics in the future. Are these events with Uyghurs discussed between Chinese? I understand that the media is heavily controlled in China, but what about the Chinese diaspora and Chinese-language media outside China? There is not much discussion of this among Han in the Chinese diaspora or in the Chinese-language media. The majority of Han, both in China and abroad, believe that the state is acting in their best interests by suppressing the Uyghur “terrorist” threat. Many of them do not understand that Uyghurs are resisting the erasure of their way of life and being dispossessed of their homeland. They also do not understand the scale and magnitude of what is happening. Instead, they believe the rhetoric of the state, which tells them that Uyghurs are “backward” and “extremists.” Han people do sometimes acknowledge that innocent people are being affected by these processes, but most say that in the end this “re-education” program will produce a net benefit for Uyghurs and the safety of Han people in China. So what’s next? The UN is holding hearings on Uyghurs in China, but I don’t think anyone would be surprised if no one—not the UN, not the West, and not the Muslim world—says anything to China. What will happen to Uyghurs and Muslims in China and what will be the results of the current Chinese policies? Unfortunately, world and domestic politics often center on a cost-benefit calculus rather than moral or political will. Since China is an important economic partner for nearly all nations around the world, it is difficult to envision immediate and effective action. At the same time, there is now significant discussion of stopping the spread of the products of Chinese technology corporations who benefit from the mass detention system (though this is primarily because such products are viewed as a potential security threat). A number of countries are discussing economic sanctions and travel restrictions directed at key Chinese leaders. Other countries are granting Uyghurs and Kazakhs asylum if they manage to escape. Is there anything else I haven’t asked about and you’d like to add? The story of what is happening to Turkic Muslims in China is an important story not only because it is shattering families and erasing the cultural knowledge of Uyghurs and Kazakhs in China, but also because it signals a change in how Chinese leaders see themselves in relation to the rest of the world. Due to the weakness of the current American administration, Chinese leaders are beginning to see China as an emerging superpower. What they are experimenting with in China may very well be used internationally—particularly in developing countries where there is significant Chinese investment. At the same time, it is important to understand that most Chinese citizens do not understand the ruthlessness with which their government is eliminating Uyghur and Kazakh society in China. Perhaps only 10 to 20 million Han citizens, of China’s entire population of 1.38 billion, truly understand and consent to what is going on in relation to the Turkic Muslim population. Because of this, and because it is important to fight hatred in all forms, it is imperative not to allow the actions of the Chinese state to fuel anti-Chinese bigotry and racism. It is important for people in every part of the world, non-Muslim citizens of China in particular, to stand alongside our Uyghur and Kazakh neighbors and support them in this time of crisis.